Y’know, when I started this flickr project ‘Every Day in May’, this time, I fully intended on keeping on track, keeping up to speed and basically managing to actually produce each drawing on the day it is assigned. I’ve totally failed to do that, but does it matter; not really really. The whole point of the project (well as I see it anyway!) is to face up to the challenge of drawing and painting subjects that I wouldn’t approach normally. Take this brown, paper bag – her in the UK groceries are usually collected in plasric carrier bags, rather than brown paper bags. But sandwiches are often collected from deli’s and sandwich shops wrapped in paper bags. 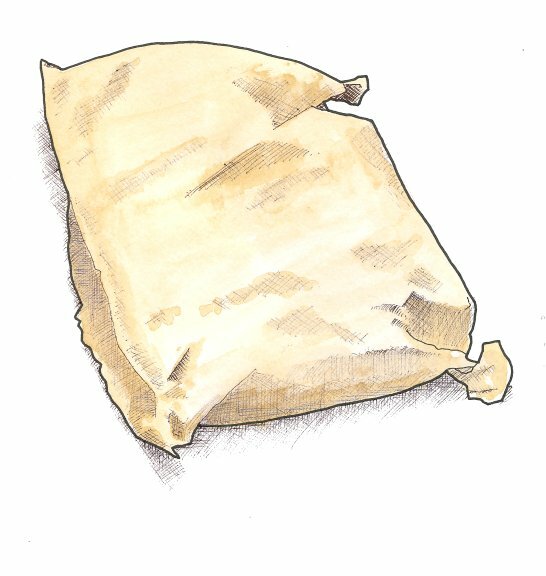 Now I will quite often draw my lunch; but here I draw my lunch wrapped in it’s paper bag.